Learning about the weather can be a lot of fun! Encourage your students to learn about the different kinds of weather as they practice letters, numbers, and colors with these Weather Preschool Theme Activities. They will enjoy working their way through a group of unique activities along with completing a fun coloring page! 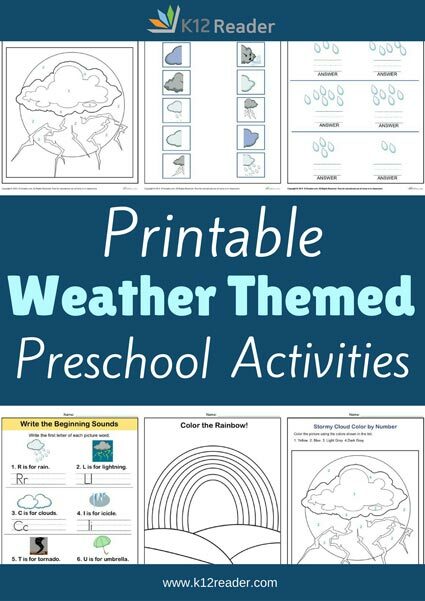 These Weather Preschool Theme Activities are made easy to print, making them a wonderful resource for parents and teachers to use both in the class and at home.